Jonny Hopkins clocked 14:44 at the Cardiff parkrun on 12 January before heading to a training camp in Spain. This was not only the fastest parkrun in the UK on that day, but the fastest in the UK in January. Jonny will be running in the Barcelona Half Marathon this weekend (10 February) as part of the Welsh Athletics team. Running for the GB team, Verity Ockenden finished 5th in the Great Stirling Cross Country on 12 January, and then 8th a week later at the Cross de Italica in Seville. She was 2nd British athlete across the line in Spain, and 3rd European. Verity’s attention is focussed on making the GB team for the World Cross Country Championships in Denmark on 30 March. On 13 January, Sara Treacy finished 7th in the Elgoibar Cross in Spain. She will be returning to Spain later this week to compete over 3000m at the Madrid leg of the IAAF World Indoor Tour. Sara will be aiming to achieve the Irish qualifying time for the upcoming European Indoor Championships in Glasgow. 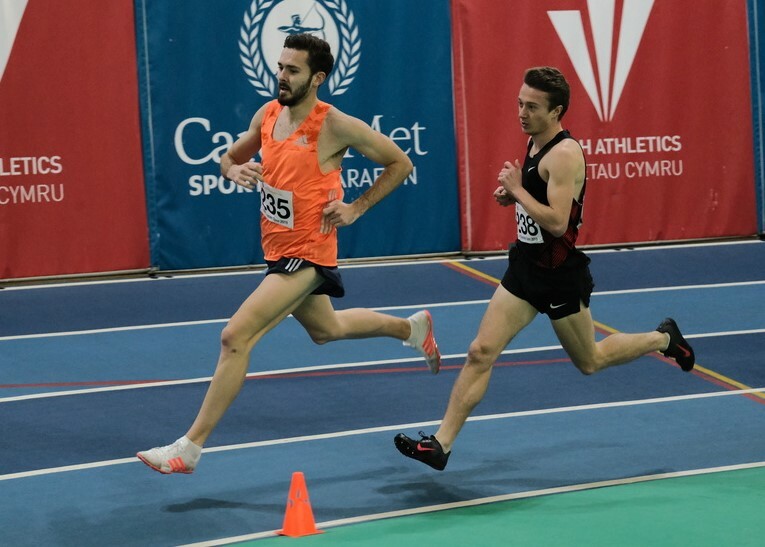 Kieran Clements won the 3000m at the Cardiff Met Indoor GP on 20 January in 7:55.11, missing the GB qualifying time for the European Indoors by a mere 0.11s. He will be hoping to secure his place in the GB team with a strong performance at this weekend’s British Indoor Championships in Birmingham. A few days later, Kieran will be racing at the annual Armagh Road Race, for which he has been selected to run for England.